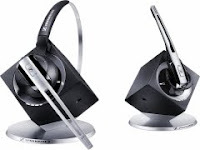 NEW YORK – November 10, 2010: Sennheiser Communications today announced that it has been named an International CES Innovations 2011 Design and Engineering Awards Honoree for its DW Office wireless DECT headset. Products entered in this prestigious program are judged by a preeminent panel of independent industrial designers, engineers and members of the media to honor outstanding design and engineering in cutting edge consumer electronics products across 35 product categories. The DW Office is a single-sided DECT headset designed for busy office professionals who need to keep in touch with customers and colleagues safely and securely. Using breakthrough technology and the legacy of decades of experience in electro acoustics and hearing healthcare, Sennheiser Communications has designed this all-new headset for all-day use. The DW Office boasts Sennheiser HD voice clarity, narrowband and wideband compatibility, a two-in-one wearing style and an impressive wireless range. It also features Sennheiser’s exclusive ActiveGard™ technology, which protects users’ ears from unexpected noise “bursts” like static and loud noises. The DW Office recently completed Interoperability Verification Testing* with Cisco IP Phones 7942G, 7945G, 7962G, 7965G and 7975G as well as with the Cisco IP Communicator 7.0.3. How the design and innovation of the product compares to other products in the marketplace Products chosen as Innovations honorees reflect innovative design and engineering of the entries. Examples may include the first time various technologies are combined in a single product or dramatic enhancements to previous product designs.Innovations 2011 Design and Engineering honoree products are featured on www.CESweb.org/Innovations, which lists product categories, as well as each product name, manufacturer information, designer, description, photo and URL. Sennheiser is a world-leading manufacturer of microphones, headphones and wireless transmission systems. Established in 1945 in Wedemark, Germany, Sennheiser has grown into a global brand represented in over sixty countries through wholly owned subsidiaries and long-term distribution partners. Sennheiser is proud to be affiliated with Georg Neumann, purveyor of world-leading studio microphones, and joint venture Sennheiser Communications, which brings its award winning technology to headsets for gaming, mobile phones and PCs. Sennheiser’s pioneering advancements in technology has rewarded the brand with numerous awards and accolades including an Emmy, a Grammy and the Scientific and Engineering Award of the Academy of Motion Picture Arts and Sciences. For more information, please visit http://e2ma.net/go/8800955515/3229194/100351874/25524/goto:http://www.sennheiserusa.com/.